China’s “Global Times” claims to be an English language tabloid newspaper of sorts. It fact, it is an often hysterical mouthpiece of the Chinese communist party. When not denouncing all things not Chinese and red, it runs photos of scantily clad young women displaying their communist assets. Alongside stupid, unbelievable stories of unlikely heroes of the revolution. You know the sort of thing. 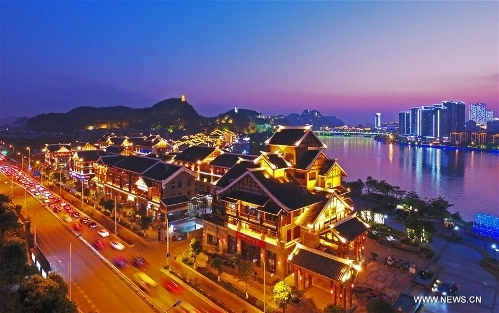 Today, they have published a set of photographs of Liuzhou, purporting to show Liuzhou at Night. 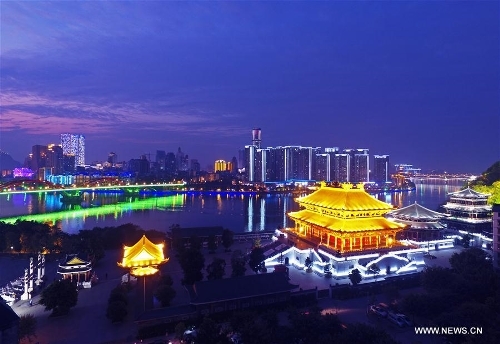 The pictures are ludicrously over-Photoshopped and utterly irrelevant to anyone’s life in Liuzhou. According to the article a couple were taken in July and a couple last week. Of course, they can’t bring themselves to publish photographs of anything real. People might think that Chinese people don’t sit at home all evening reading the collected thoughts of Xi Jinping, but instead go out and have fun. No one really reads the rag other than professional China watchers wondering what wisdom they will serve up next. Predictably, they did go nuts over Trump’s recent dalliance with Taiwan, but then the lunatic is fair bait.
. This entry was posted on Sunday, December 18th, 2016 at 10:34 pm	and is filed under About Liuzhou, China News, Humour, Photography, Propaganda. You can follow any responses to this entry through the RSS 2.0 feed. Both comments and pings are currently closed. 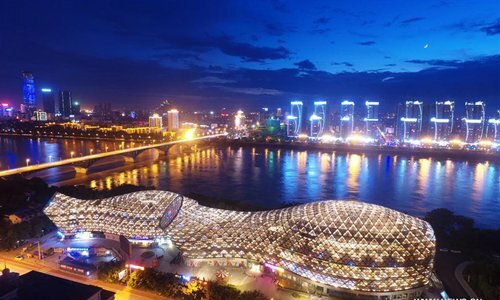 Haven’t been to Liuzhou for a year now but these night-time photographs do not ring any bells for me. 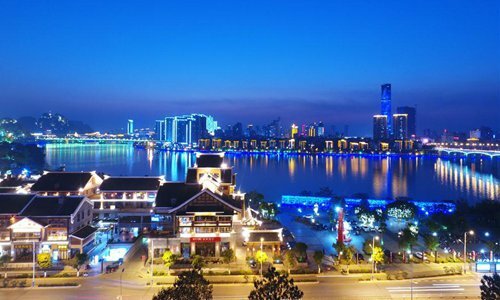 Has Liuzhou really changed that much? Resent the inference there’s something ideologically suspect about young ladies displaying their Party assets, especially whilst holding up half the sky, and, that’s an unnecessarily cruel remark about lunatics .